The Office of Industry & Corporate Research was created in October 2011 with the aim of advancing GW's research efforts to be the principal point of contact between our industry and corporate partners and the university to develop mutually beneficial outcomes. 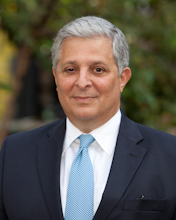 Thomas Prescott Russo became OVPR’s first Assistant Vice President for Industry & Corporate Research in October 2011. He is tasked with forging partnerships with private companies and foundations to fund research and other special projects and initiatives at GW. He works closely with faculty within GW research centers and institutes who are looking to connect their innovative research projects with industry leaders. Tom also works closely with GW’s Office of Innovation and Entrepreneurship and the Technology Commercialization Office to help develop and commercialize technologies initiated at GW. Before coming to GW, Mr. Russo spent over 20 years cultivating relationships between private companies and the public sector. He was the chief financial officer for both public and private corporations and helped found many start-up companies, many of which are highly successful today. As chief financial officer, he managed licenses, patents and contracts with major universities for research grants and intellectual property and successfully raised over $200m in equity. Prior to his corporate roles, Tom worked at the World Bank (IBRD) and its private sector affiliate, the International Finance Corporation (IFC), where he was responsible for providing debt/equity funding for major projects in the energy, industrial and tech sectors. Russo received his B.A. in Government and Foreign Service from Georgetown University and his MBA in International Business and Finance from GW. Joanne Campbell joins the Office of the Vice President for Research as the program coordinator for Tom Russo, assistant vice president for corporate research. In this role, she will support and manage projects and initiatives to help grow research funding at GW. A native of Boston, Joanne travelled to D.C. earning a Bachelor of Arts in American Studies from Trinity University. She remained in the district for several years before returning to Massachusetts to raise four children with her husband, Jim. 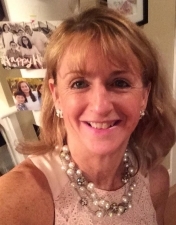 Most recently, Joanne completed a two-and-a-half year tenure at Massachusetts Institute of Technology’s medical facility where she supported the medical and executive directors. In her role as executive assistant, Joanne represented the department both internally and across campus. She enjoyed building relationships while providing administrative support, including scheduling for two very diligent and dynamic leaders, as well as successfully coordinating multiple departmental projects. Precipitated by her husband’s contract with the Navy, she and her family relocated back to the D.C. area. Happily living in Alexandria, Joanne continues to pursue her goal of earning a master’s degree in museum studies.